Hello! I'm Raman Sahasi. 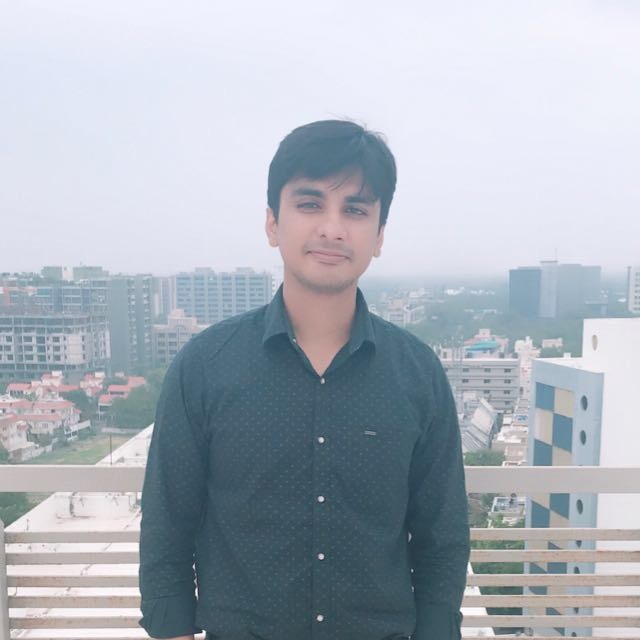 A System Software Engineer graduated from Rajasthan Technical University and having overall almost 4 years of extensive experience in developing state-of-the-art software modules for retail, restaurant and builder industry. Core expertise in numerous Technologies and Frameworks like Hibernate, Hibernate Search, Spring, Maven, JUnit, Design Patterns, Oracle, PostgreSQL etc... Have Acquired Oracle Workforce Development Program Certification in both Java and J2EE with 72% and 82% respectively. Description: A desktop application to manage day-to-day operations of a Restauant or Cafe. Functionalities included Managing Orders, Printing Invoices, Managing CafÃ© Menus etcâ¦ Software was developed using Hibernate ORM v5.0.4, Hibernate Search v5.5.2, Spring MVC v4.0.1, Maven. Description: A Desktop Application for New Delhi based Metal Industry. Functionalities of this software were Managing Stock, Saving Input and Output Logs, Creating Snapshot of Stock, Managing Users, Implementing several Restrictions for Users based on User Level. ANUBHAV BUILDCON PVT LTD. - A DESKTOP APPLICATION FOR UDAIPUR BASED BUILDERS. Description: A Desktop Application for Udaipur based builder group. Functionalities were to manage construction projects, income, expenses, staff credit leisures, salary. Software was developed using Hibernate ORM. www.PrintOnlineStore.com - ONLINE DIGITAL PRINTING PLATFORM. PrintOnlineStore.com is a online digital printing platform focussed e-commerce company headquartered in Udaipur, Rajasthan. It specialises in selling products that are required by businesses and organisations like Business Cards, letterheads, envelopes, flex, flyers, brochures, posters, id-cards, notebooks etc. Was responsible for introducing variations in products by writing codes from scratch and also customised already available code. Worked as a Software Developer at an Udaipur based Startup. Was Responsible for working on a range of projects created using java (Hibernate + Spring) and interacting on a daily basis with local as well as international clients. Developed, maintained and promoted more than five Softwares. Was responsible for developing desktop applications and dealt with all phases of SDLC. Developed custom plugins for CMS from Scratch. Acquired Oracle Workforce Development Program Certifications in both J2SE and J2EE with 72% and 82% respectively. Worked on a NIIT administrative website created using Java Server Pages. eLitmus pH Score â 92.09 and 86.42 Percentile in Problem Solving and Quantitative Sections Respectively. Qualified for Graduate Aptitude Test in Engineering (GATE) 2015 examination. Secured 1st, 2nd and 3rd place In Gymnastics District Tournaments (Udaipur Region) in 2003, 2004, 2005. Received Merit Recognition Certificate in NIIT 10th National IT Aptitude Test. Received âCâ Certificate from NCC Air Wing unit 2007. I have a keen interest in books. I just love to read Non-Fiction which includes Business Skills, Biographies and Self-Help. My Favourite authors are Napolen Hill, Viktor E Frankl and Dale Carnegie. I Love Running and I also Love to play BasketBall and Sudoku.